The Louvre Palace is an almost rectangular structure, composed of the square Cour Carrée and two wings which wrap the Cour Napoléon to the north and south. In the heart of the complex is the Louvre Pyramid, above the visitor’s center. The museum is divided into three wings: the Sully Wing to the east, which contains the Cour Carrée and the oldest parts of the Louvre; the Richelieu Wing to the north; and the Denon Wing, which borders the Seine to the south. In 1983, French President François Mitterrand proposed the Grand Louvre plan to renovate the building and relocate the Finance Ministry, allowing displays throughout the building. Architect I. M. Pei was awarded the project and proposed a glass pyramid for the central courtyard. The pyramid and its underground lobby were inaugurated on 15 October 1988. 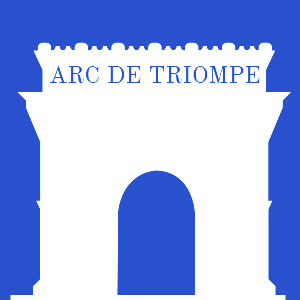 The second phase of the Grand Louvre plan, La Pyramide Inversée (The Inverted Pyramid), was completed in 1993. As of 2002, attendance had doubled since completion. I. M. Pei’s glass pyramid entrance, 1985 – 1989, providing a modern entrance to the various museums, seems in retrospect to be the inevitable and perfect unobtrusive solution to an impossible design problem. It was highly controversial when it was built.